Pogledajte najbolje fotografije iz svijeta, 17. oktobar 2018. godine. 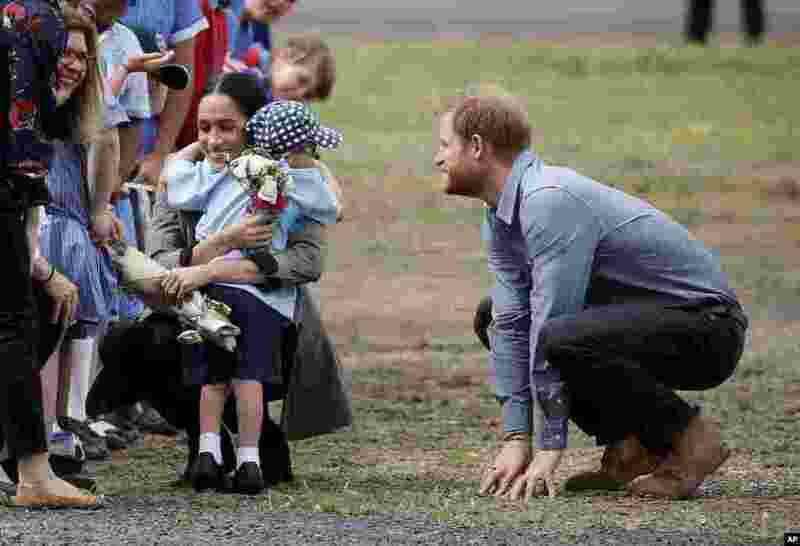 1 Britain's Prince Harry looks on as his wife Meghan, Duchess of Sussex, is hugged by Luke Vincent, 5, on their arrival in Dubbo, Australia. 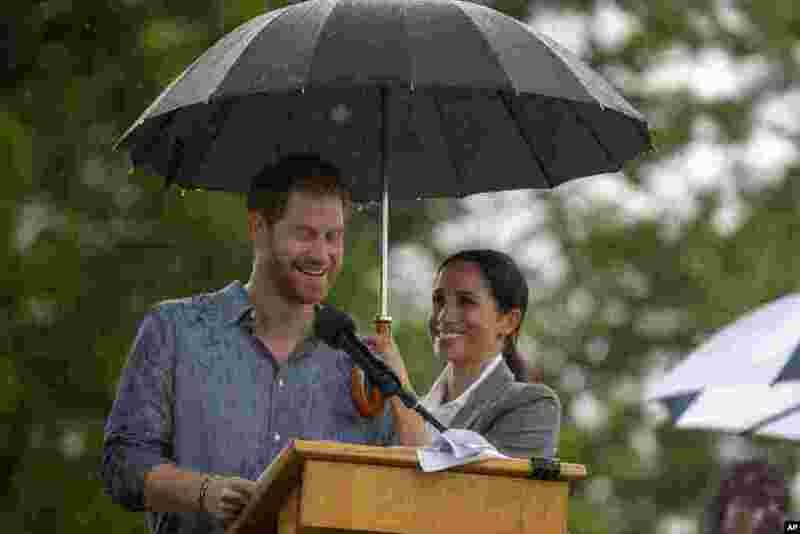 2 Britain's Prince Harry and Meghan, Duchess of Sussex attend a community picnic at Victoria Park in Dubbo, Australia. 3 A visitor talks with the android robot 'totto', which was modeled form Japanese TV personality Tetsuko Kuroyanagi, during its demonstration at World Robot Summit in Tokyo.